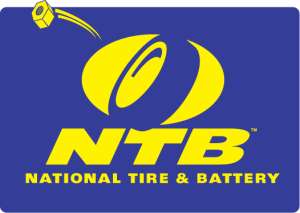 NTB is the short name for National Tire and Battery. This is an American brand of tire retailer and auto service center. Originally owned by the Sears company, NTB split off and became it’s own company in 2003. 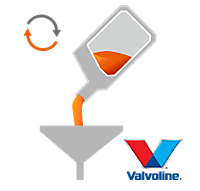 Since then the company has grown to over 200 stores nationwide and are able to quickly and conveniently perform a wide variety of auto services for an affordable price. There are constantly coupons being provided for most of the services that NTB has to offer. They provide a lot more than just discount tires and installation. Regular service coupons include discounts on oil changes, wheel alignment, fluid exchanges, free flat tire repair, brake service discount, air filter replacements and wiper blade discounts. NTB will occasionally provide oil change coupons for their customers. They usually don’t have to because they already have such cheap oil changes available. While a considerable amount of other auto service centers will find ways to upcharge and hide fees on things like oil changes, NTB strives to make this easier and more affordable for thier customers. NTB had what they call the “All-inclusive Pricing” on all of their oil changes. This means that whatever price you see is the price you get…with added tax of course. No more nickle and diming on fees that you only see after the oil has been changed and your stuck with whatever price the mechanic throws at you so you can just get your keys back. There is always some kind of special discount pricing on tires at NTB. They also have the “All-Inclusive Pricing’ on their tires like they do with their oil changes. This means you won’t find any hidden charges like “air refills” on your final bill. Searching for your car’s tires is extremely easy and convenient too. You can either search for a specific tire that you know you want or if you don’t know what tire fits your car, you can do a search for your own car. Narrow it down to your year, make and model to find the exact tire that you need. Then shop around for the tire you need at the price that works for you. Also, you can even pay online and set up your appointment to have your tires installed at your best convenience. I will never go back to the ntb on 1605scenic hwy. Snellville, ga. 30078 . I had am appointment to day 8-7-15 at 3 oclock to get a oil change,tire rotation,and balance .I checked in at 12;30 pm, the girl was kinda new, but it took 30 min. to check in. then she told me it might be as long as 2 hours , before they were done . now come on ntb. are y’all working short staff. now its 1;30 pm . my car is right were I parked it . I looked at the guys working in the back and they were working at a snells pace, they are cousting you money. the manager said they were slow. im going to the ntb 125 park access dr. Lawrenceville,ga. I hope it is a lot better.